Doi Inthanon: This mountain is the highest peak in Thailand. 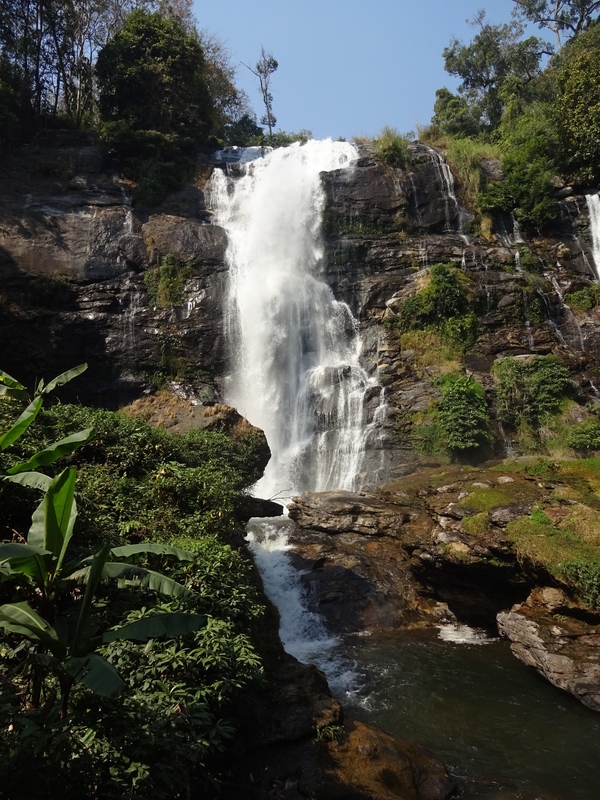 It is named after a beloved king who ruled for 27 years in the late 19th century and is fondly remembered for his efforts to preserve the forests of northern Thailand. He expressed a desire to spend eternity on this mountain, so there is a shrine at the top where his ashes are buried. I traveled to this spot 75Km south of the city on an organized day tour along with two Cambodians, an Aussie, two Thais, three Koreans and a French couple. We hardly had any conversation. I was only able–or interested–in conversing with the pair from Paris, currently working in Melbourne and breezing through Thailand on a whirlwind visit. There was a waterfall: And also this even bigger one: The sky was too hazy for any other photos. 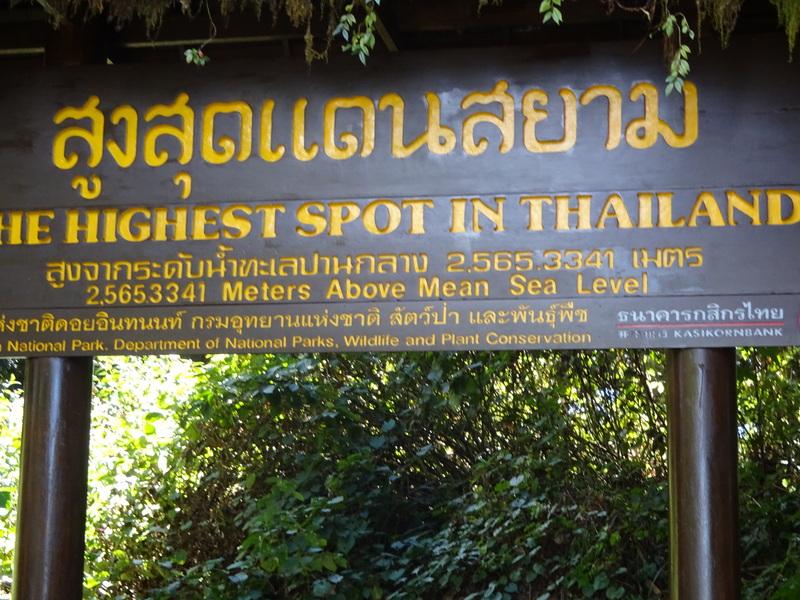 The land at the top is occupied by a Thai military installation. 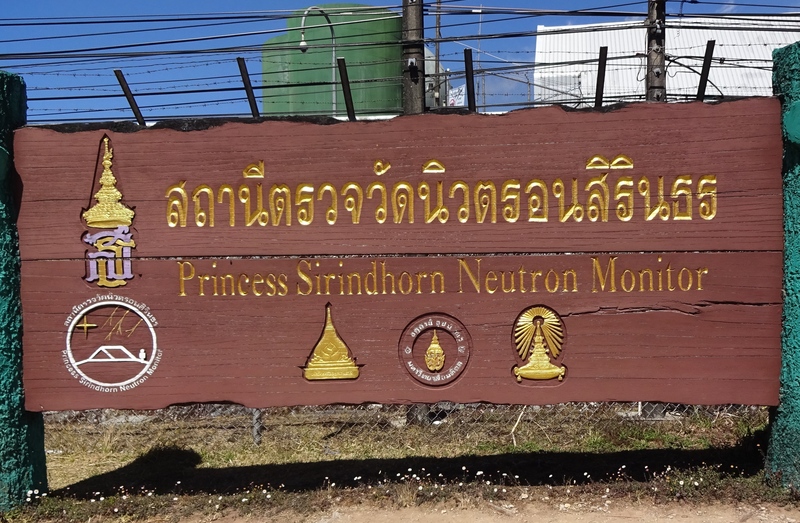 I found this at the peak: How many people get to have a neutron monitor named after them? What is a neutron monitor, anyway? 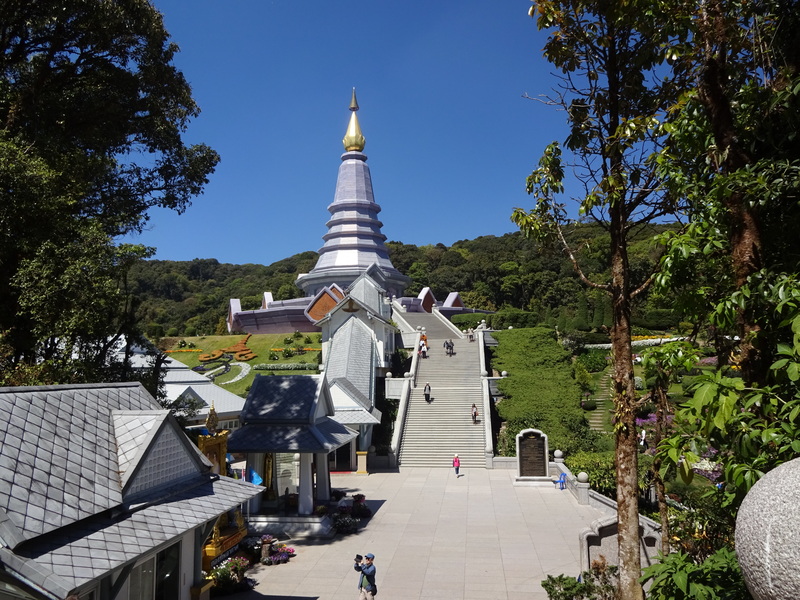 The King and Queen have a prominent presence at Doi Inthanon. Two very similar pagodas, with a combined cost of 180 million baht, were built to honor them ($60M). The king’s was built five years before the queen’s. That’s because he is five years older than she is. 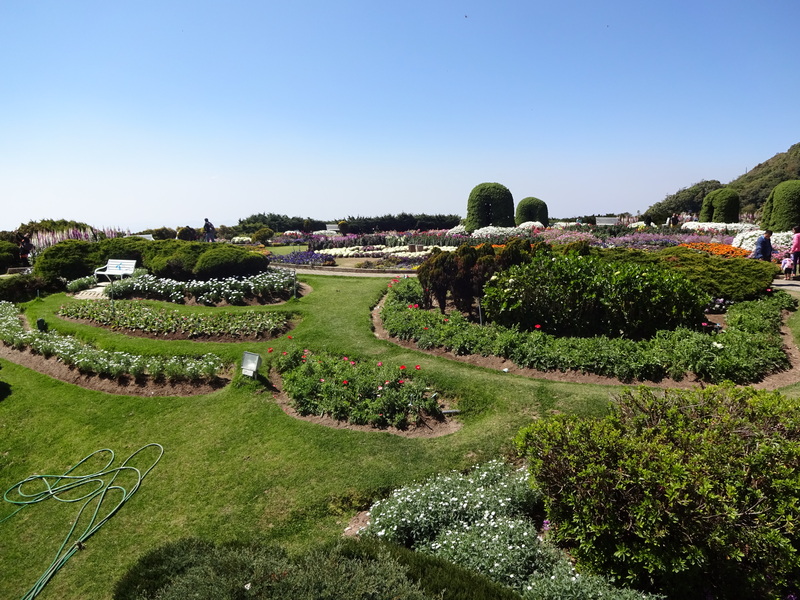 They are surrounded by elaborate gardens, supported by one of the King’s Agricultural Projects, the cultivation of massive amounts of flowers. 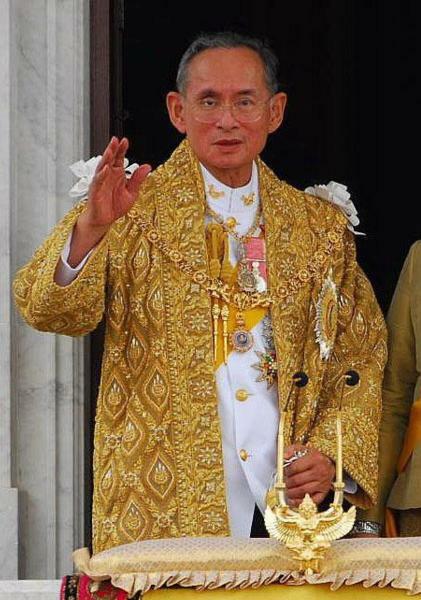 Whatever you do, Do Not Disrespect the King: The Thai king is the world’s oldest monarch. It is said that the Thai people love him. But I am a foreigner, so I could not say. As I mentioned in an earlier post, every day at 6pm (and 8am), if you happen to be in a public place, movie theater, probably any place with a sound system, it is time to stop what you are doing, revere the King and sing the national anthem. I was present for one of these observances in a movie theater. Many of the pictures displayed of the King were with his dogs. None were with the Queen. And if you are a careless tourist, you can get jail time for failing to follow proper protocol. 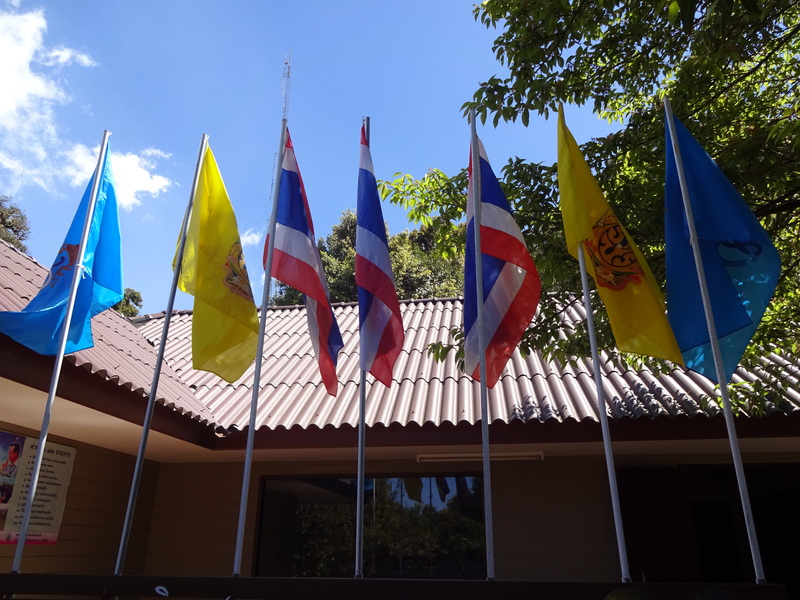 A yellow and a blue flag usually flank the national flag of Thailand wherever it is displayed. That is because each day of the week is associated with a different color and each day has a protector God. The King was born on a Monday, the yellow flag; the queen was born on a Friday, the blue flag. 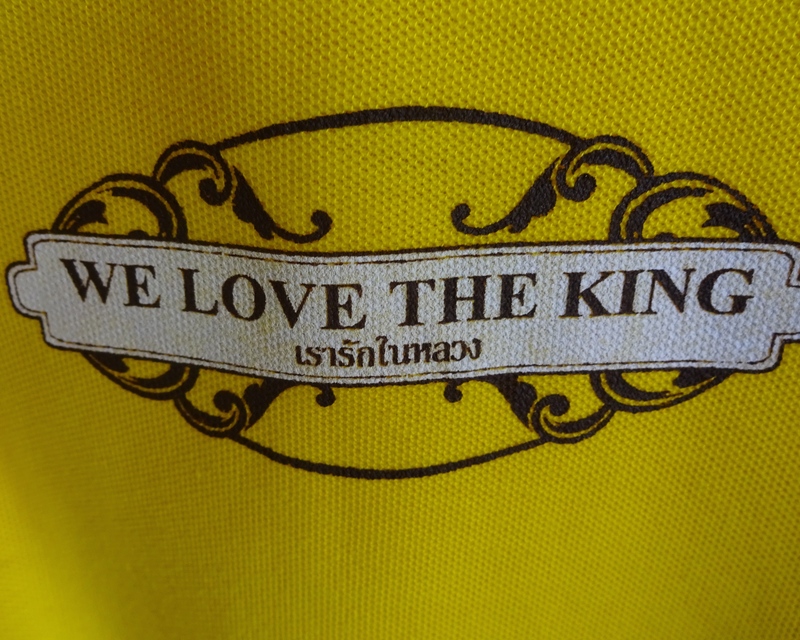 The evidence of Thailand’s reverence for the king is ubiquitous. There are posters in many public places. But the least expected place I found such expression was in the gift shop at Doi Inthanon. Inside the front door is a rack of yellow (because Monday!) polo shirts. And there he is, right where that other logo usually goes. And that’s all for today. Short and sweet. 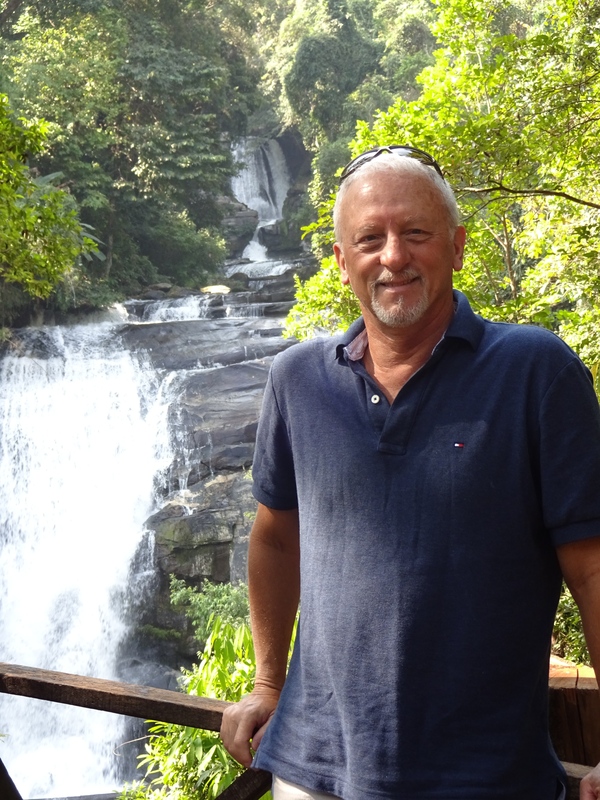 This entry was posted in Thailand, Travel and tagged chiang mai sites, Doi Inthanon, Inthawichayanon, last king of chiang mai, Princess Sirindhorn, Sirithan waterfall, Thai king, Thai queen, Thailand tours, Thailand's highest peak, Wachirathan waterfall, we love the king by garyhorvitz. Bookmark the permalink.